Should private companies raise money from mutual funds? There is a trend lately for private companies, in later stages of their fundraising, to include mutual fund managers in their venture rounds. In theory,the idea has a lot to offer, but in practice this is one of those things that does not always work out as well as planned. It seems like it should work. The big mutual funds, firms which typically invest in public securities, devote a small fund to late-stage public companies. It gives the mutual funds a chance to improve returns slightly. Venture returns seem to be on fire lately, and the big mutual funds already invest in a wide array of securities to generate better yields for their own investors (i.e. you, me and everyone else who has a 401(K) plan). It also seems like a good idea for private companies, a way to dip their toe into the water of eventually going public and dealing with public investors. 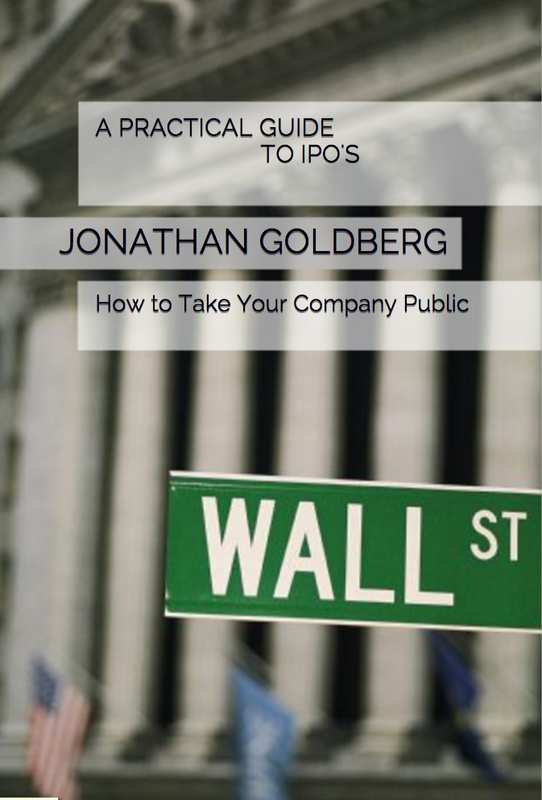 As one CEO put it to me recently, it is a way to “inoculate” management teams to the vagaries of the public markets. This idea is not new. I can remember two prior periods when public market investors tried something similar. The first was during the 1990’s dot.com Bubble, and then again in the mid 2000’s. The first time it was mutual funds, the second period saw a lot of hedge funds make a similar attempt. There were probably periods that predate those. And if you look at the timing, the motivation of the public investors is clear. They are periods when the big funds had ample cash to invest, and periods when the venture market seemed to be on fire. Neither of those attempts ended particularly well. The problem is that for the big, public funds venture investing is a very small piece of their overall investment portfolio. As such, it never seems to get the full backing of the institutions behind them. This creates a seemingly inevitable mismatch in timing between when the funds want to exit and when the companies want to provide them that exit and go public. Typically, the big funds hire very good, very smart investors (not always, but often) to run their venture books. These managers make smart bets, but eventually the timing issue comes up. Funds that buy public securities need to have room to maneuver, they are accustomed to the fact that they can exit a stock or bund investment in the public markets at any time of their choosing. For the big mutual funds, their ability to exit a stock becomes a cap on how big a position they are willing to take in a stock. These investors look at a public stock and its daily trading volume. Usually, they do not want to buy a position that is more than seven times daily trading volume, and even that level is pushing it. So if a stock trades 100,000 shares a day, the fund manager who takes more than a 700,000 share position in that stock is going out a career limb. By contrast, a private company CEO is accustomed to venture investors. They expect to eventually exit, but are willing to wait years, not days to do so. For a company in late-stages before an IPO, the last card the CEO has to play is the timing of that IPO. The decision to list will hinge on many factors beyond just the demands of one or two investors. By the time a private company gets to the size where these things happen, they typically have close to two dozen investors. All of them want an exit, and if only one or two sees urgency in going public, the company can hold off for a period. What seems to happen next is that there is some shift in tone in the public markets. The markets crash or interest rates change direction. This causes the investment strategy committees at the public funds to rethink he way in which they allocate funds among the various classes of securities. And suddenly, the team running the private funds find that their investment horizons are shortened. Suddenly, they are under immense pressure to get liquidity in their investments. At this point, something has to give. Either the fund manager brings so much pressure to bear that the company is forced to go public early, which makes the company unhappy. Or, the company delays its IPO (I mean, look at those markets…), and the fund manager suffers ugly returns, which makes the management company unhappy. That, at least, is the way this has played out in the past. Maybe this time is different. The biggest mutual funds are now very big and have all sorts of less liquid investment on their books. And if I remember all of this, the people running the fund companies can certainly learn from history. Still, I would caution private companies from taking funds from public investors too early. I caution all management teams about taking any outside money. Taking an investment means you are going into business with those people. Most companies are now well-practiced in picking their VCs carefully, selecting those that offer advice, access or some other strategic benefit, over those merely offering cash. The same holds true for taking money from mutual funds. And as for the ‘inoculation’ factor, it only goes so far. There is very little training to prepare a CEO or CFO for dealing with the public markets, other than ‘on-the-job’ training. Having a few, venture-like public investors is still a far cry from dealing with a sea of hedge funds. The public funds tend to send people with venture or private-company backgrounds to run their venture investing, and as such, they are a very different personality type than the majority of public company investors. I do not think there is a hard and fast rule here. Sometimes these investments go exactly as planned, but just as often they do not. ← Are there any value stocks in Technology? The T Rowe’s of the world are not “venture investing” really. Doing late stage privates – when companies are going public much much later in their life cycle – isn’t really venture or that different than an IPO in the olden days. And T Rowe takes such a huge position in an IPO that getting out isn’t even really an option even for their public investments. Look at their holding periods. They often sit in stocks for 5 years without changing a position. So I don’t think the lack of liquidity is all that scary for these guys. They don’t have liquidity when they own 5% of an illiquid stock anyway. And for a private company, part of the idea is that it makes the IPO go more smoothly because the long only funds tacitly agree to double their position at the IPO so their is built in education and demand. The mutual fund guys aren’t in A rounds or B rounds, they are in when an IPO is already in site. And they have almost zero influence on the timing of an IPO – they aren’t getting board seats.